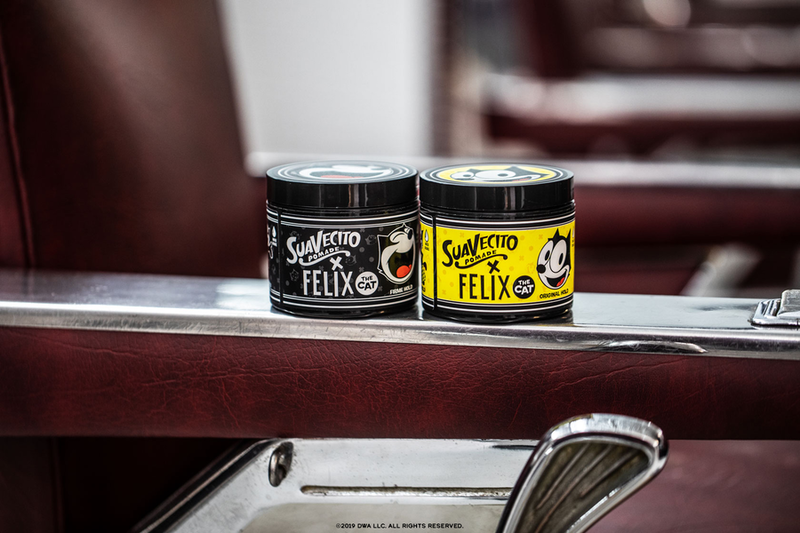 As part of its 100th anniversary celebration this year, the iconic Felix the Cat brand has entered into a collaboration with leading US hair pomade brand Suavecito, for a range of men’s grooming products, accessories and t-shirts. The deal was brokered by CPLG on behalf of Universal Brand Development, owner of Felix the Cat. 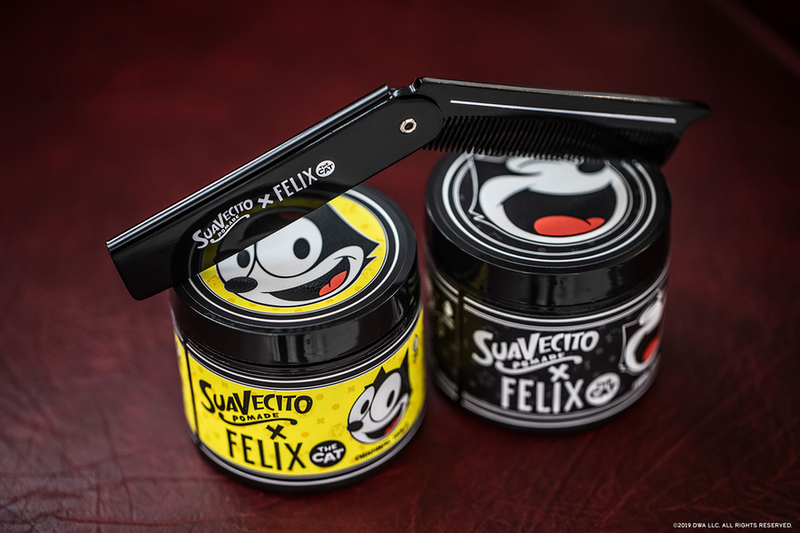 The limited-edition capsule collection, which includes classic and firm pomades, a retractable comb and a toiletries bag that doubles as Felix’s Magic Bag of Tricks, is available to buy at the Suavecito store in Los Angeles, Tilly’s stores across the US, online at suavecito.com and through Suavecito’s global stockists. The launch has been supported with a lifestyle photo shoot, dedicated social media posts and videos, influencer outreach, point-of-sale displays and a launch event at the Suavecito HQ in Santa Ana, California. 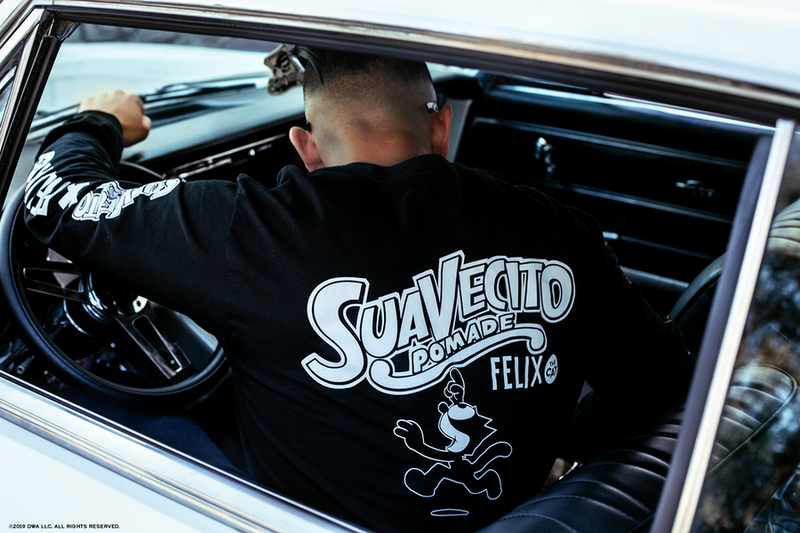 Led by high-profile collaborations, including HUF Worldwide and Scotch & Soda, the Felix the Cat lifestyle brand continues to expand across EMEA and the U.S., with a number of new licensees brokered through CPLG. Funko, the creators of Pop! Vinyl, recently launched collectible Felix figurines, with a fashion accessories range from Loungefly hitting stores this summer. In addition, Funko will also launch a collector’s edition Pop! Vinyl Box Set launching in November. Further exciting Felix the Cat collaborations and products will roll out from the Autumn 2019, including a global footwear range from Skechers, plush from Aliquantum International, Flex Watches, and a 100th anniversary t-shirt collection from Los Angeles-based apparel and lifestyle retail brand Lauren Moshi. Outside of the US, high-end Italian ceramic tile company Del Conca has launched a unique collection of tiles dedicated to Felix. The range includes 16 highly decorative porcelain stoneware tiles, each with a unique design for both flooring and interior cladding, available via Del Conca’s international stockists. Felix the Cat made his big screen debut in 1919 and went on to have his own cartoon strip and cartoon series. Created by a team of talented animators, among them Otto Messmer and Joe Oriolo, Felix the Cat appeared in over 100 movies between the 1920s and 30s and is today considered a true pop icon of international fame. Reinvented in the 1950s with a catchy theme song and his notorious “magic bag of tricks,” Felix the “wonderful, wonderful cat” has inspired generations of fans from all walks of life, making him both a pop-culture phenomenon and an anti-hero icon.